1. When did Azerbaijan declare independence from USSR? 2. Which lake is to the east of Azerbaijan? 3. Which country is to the south of Azerbaijan? 4. Which is the capital of Azerbaijan? 5. Which is the currency of Azerbaijan? 6. Which is the official language of Azerbaijan? 7. When was Azerbaijan separated from Transcaucasian Soviet Federated Socialist Republic? 8. 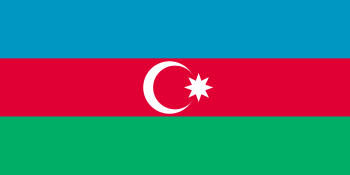 Which region of Azerbaijan declared independence in 1992? 9. Who was Azerbaijan’s president in 2007? 10. Who was Azerbaijan’s prime minister in 2004?